WHEN asked what his last song on Spotify was, Benson replied, My Heart Will Go On, by Celine Dion. Dubbed as everything your parents love to hate, Benson will be shredding Magnum's DJ decks this Saturday night. Part of the national Benson Backyard tour, the DJ, producer and label boss will come from Townsville to play in Airlie Beach. 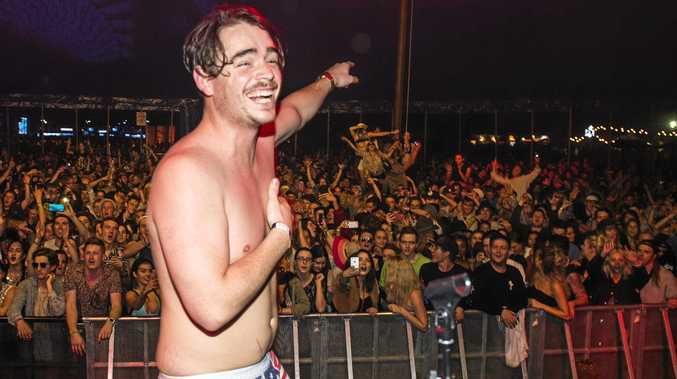 He may be familiar from festival line-ups including Splendour In The Grass, Falls Festival, Listen Out, Southbound, Stereosonic and Parklife. Melbourne based Benson spends a lot of time travelling Australia and abroad playing loud, sub base driven house music, drinking dangerous amounts of alcohol and staying up way past his bedtime. "I've been to Magnums before with Peking Duck in 2014 and I've played at Boom, but I'm popping my cherry as the first time headlining there,” Benson said. Known for his loud, fun and extremely offensive sets; if you enjoy good music, having a laugh and high fives then you should line up for doors opening at 9pm. Magnums venue manager Jarryd Barclay said expect to get rowdy. "It's going to be a big night so make sure you bring your dancing shoes,” he said. "The best part is - it's free, so come along and have a good one on us. Headliner Benson will be joined by Magnums resident DJ Dirty Treble.